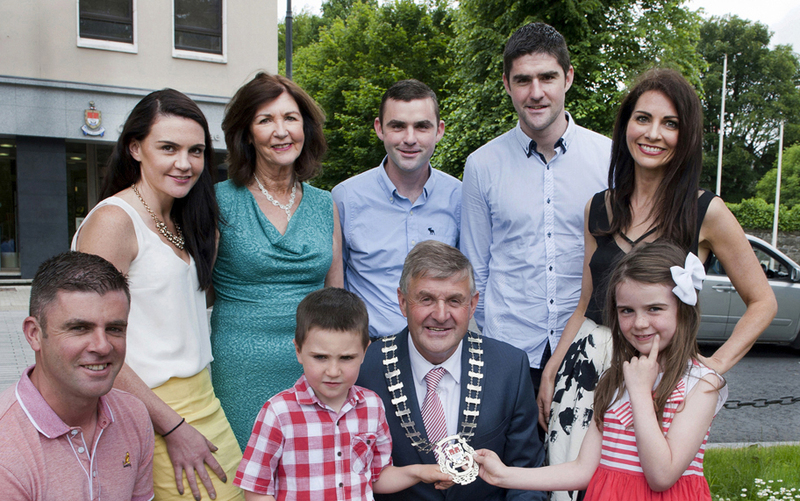 Cllr Michael Holmes Cathaoirleach M.C.C.Included in Photo his wife Mae, sons Brian, David and Padraic, daughters Collette Ganley, Laura Gillen, grandchildren Joshua Holmes, Maeve Ganley. Photo © Tom Campbell. 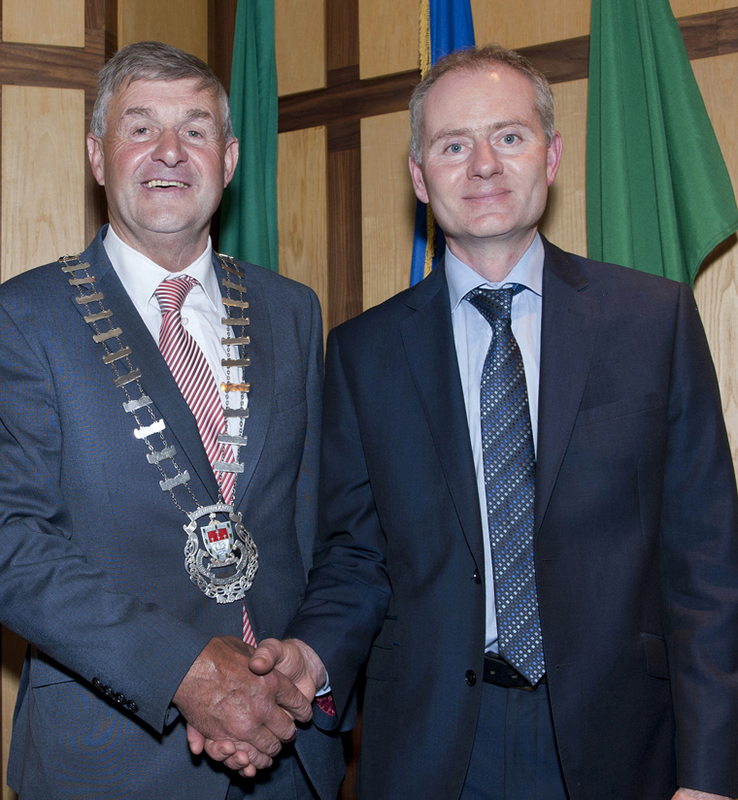 Cllr Michael Holmes Cathaoirleach M.C.C with his Brothers Kevin and Brendan. Photo © Tom Campbell. 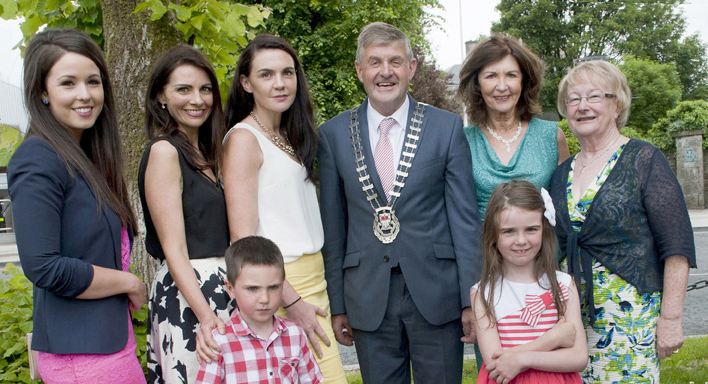 Cllr Michael Holmes Cathaoirleach M.C.C Photographed with Joshua Holmes, Collette Ganley, Laura Gillen, Mae Holmes. Photo © Tom Campbell. 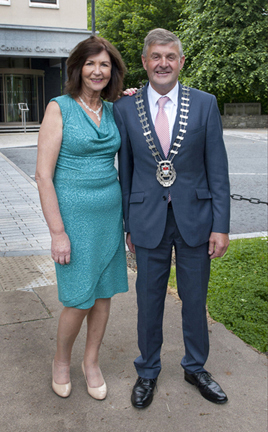 Cllr Michael Holmes newly elected Cathaoirleach M.C.C. 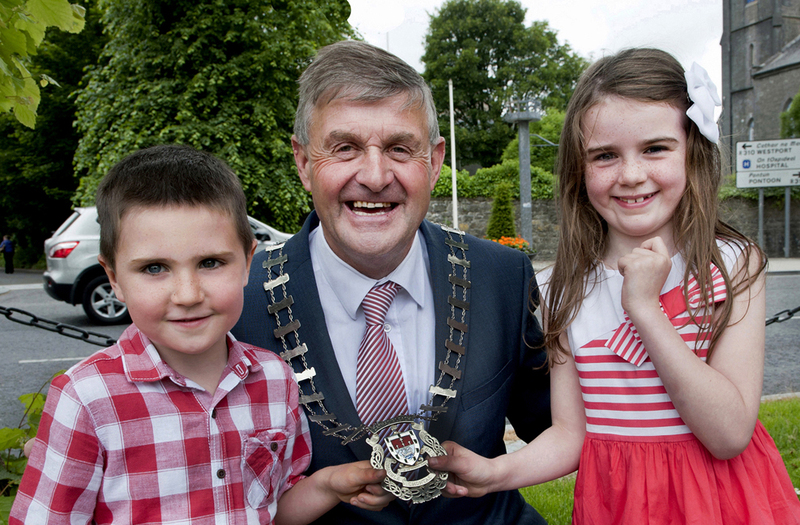 with his Grandchildren Joshua Holmes and Maeve Ganley. Photo Tom Campbell. 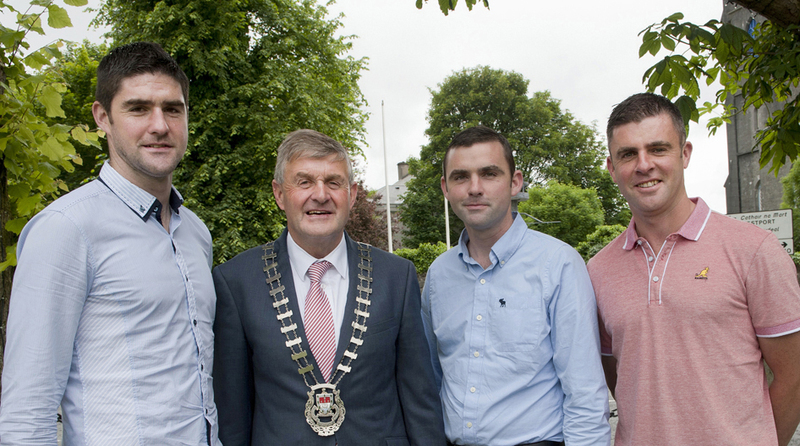 Cllr Michael Holmes Cathaoirleach M.C.C Photographed with his sons Brian, David, and Padraic. Photo © Tom Campbell.